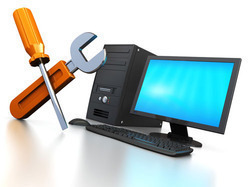 Backed by our industrial experience and cutting edge technology, we are able to provide Computer Repairing Service to our clients. Our experienced professionals hold expertise in undertaking annual maintenance contracts to offer them reliable and satisfactory services as per their requirements. Moreover, these experienced professionals are capable of solving any sort of information technology problems. Annual Maintenance Contract is like an insurance, which protects from all type of small or large problems of the information technology. This enhances to increase trust, faith and satisfaction level of clients by our offered services. Our firm belief in complete transparency during repairing have gained us respectable place in the market. We offer these services with complete assurance of time bound completion and effective products support after repairing. These services can be availed by customer at flexible price range. By: Sriji Computers Pvt. Ltd.